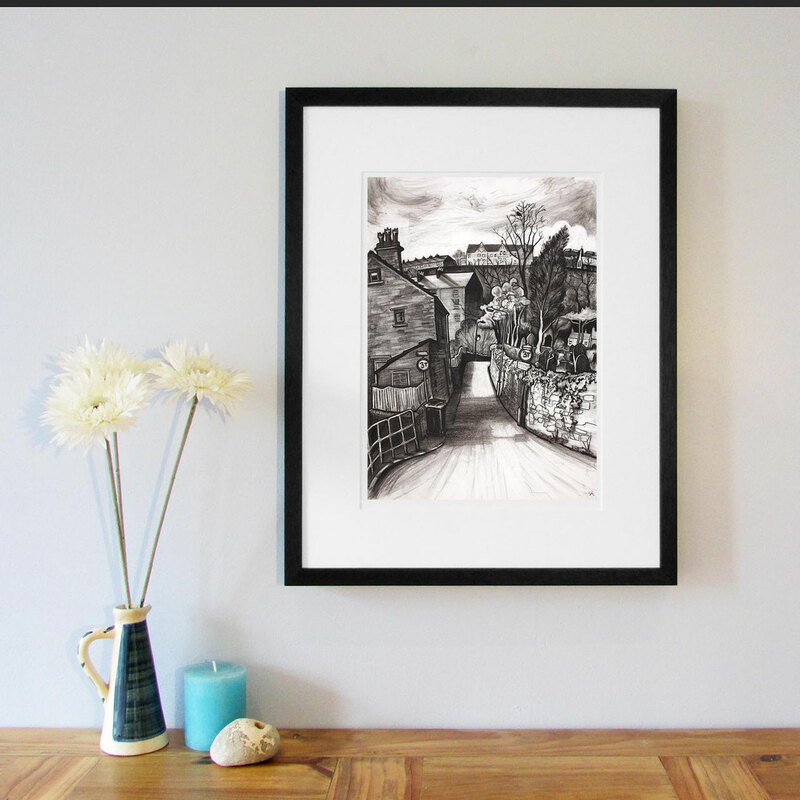 Charcoal Street scene of New Mills, Derbyshire. St George’s Road is known locally as ‘beep beep corner’ due to the need to sound the horn when driving round the narrow blind bend which skirts the old graveyard. 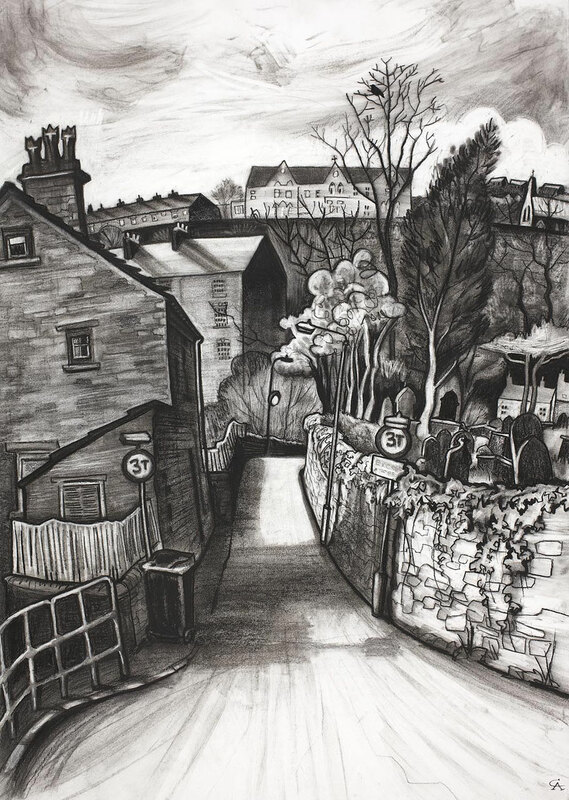 New Mills Adult Centre (formerly New Mills Lower School) and Spring Bank Arts Centre (formerly St James chapel) can be seen across the valley in the distance.